At this stage of the season it’s always a risk to throw injured players back into the mix, especially for a team like West Ham United with little to play for. What’s the point of risking further time on the sidelines by rushing someone back who has been out with a long term injury? The reward simply isn’t worth the risk at this point of the campaign. 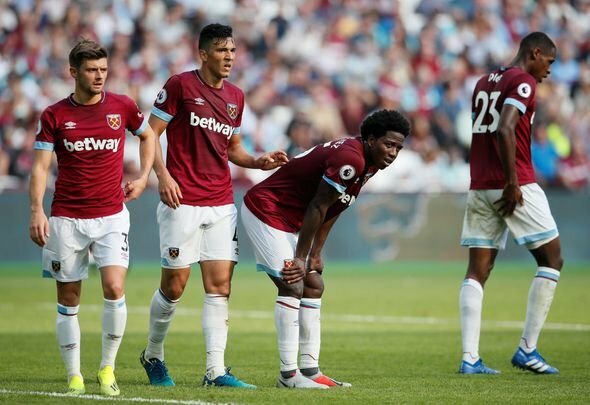 That’s why Hammers boss Manuel Pellegrini must be very careful to avoid making a big blunder with veteran midfielder Carlos Sanchez down the stretch this term. 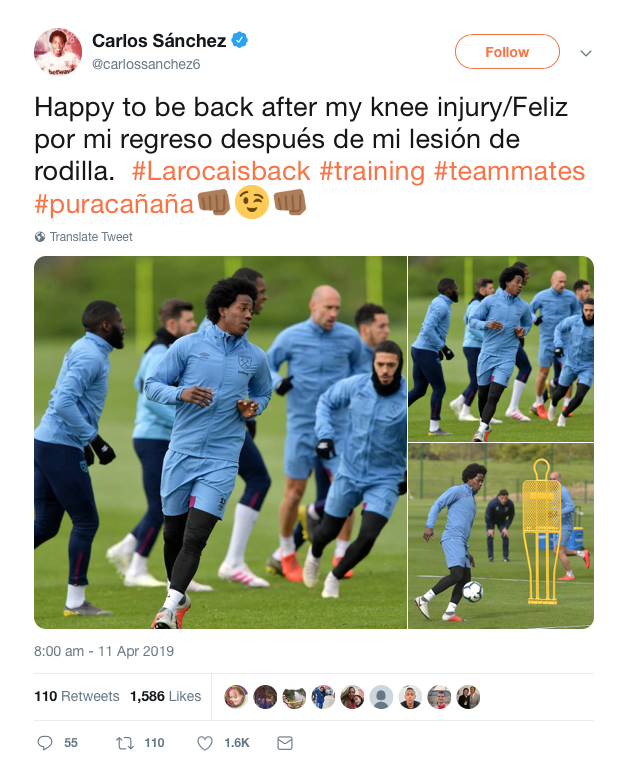 The 33-year-old shared several photos on his personal Twitter account on Thursday that showed him back in training after a long lay off due to a knee problem. West Ham have struggled to find consistency in the centre of midfield this season, there’s no doubt about that, but it’s unlikely that the Colombian international would ever have presented a genuine solution to Pellegrini. Sanchez, who earns £50,000-per-week [Source: Spotrac], is a long way past his prime. He is a defensive midfielder who doesn’t move very well. Nor does he have much on-the-ball ability to speak of. The idea that he could come in and solve the team’s problems is laughable. This is a player whose signing was greeted by derision even by the Hammers faithful. No one really wanted him at the club, and he did little in his few showings before getting injured to suggest that he could really make an impact in East London. No, there really is no reason for Pellegrini to rush him back. Just keep him at the training ground working on his fitness and then either sell him or give him a full pre season to prove his worth this summer. Either way, there’s not much point playing him this season despite the player’s positive update. Pellegrini is better off investing time in Jack Wilshere’s return from injury. The Englishman, at least, might still have a chance at a big West Ham future.